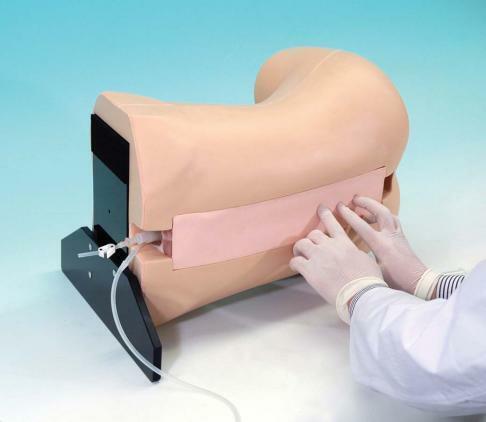 The Epidural Anesthesia Simulator is an anatomically correct spinal column covering from T7 to L5. 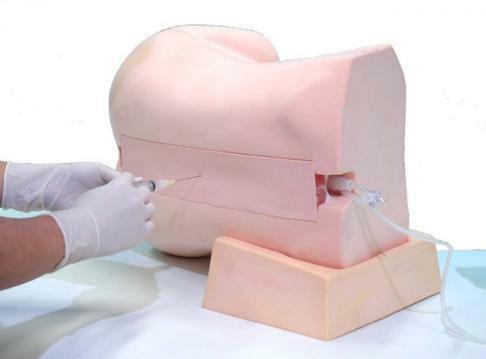 The model is often used for training in epidural anesthesia procedures in the lumbar and thoracic areas. It features landmarks for palpation, true-to-life resistance and a realistic sensation at the needle tip during injections. Both lift and right lateral position are possible. Anatomically correct spinal column covering from T7 to L5. Land marks for palpation, IC, angulus inferior scapulae and spinous process. True-to-life resistance and “pop” felt through the needles. Manufaturer – Kyoto Kagaku MW3, Item code: 11382-000.